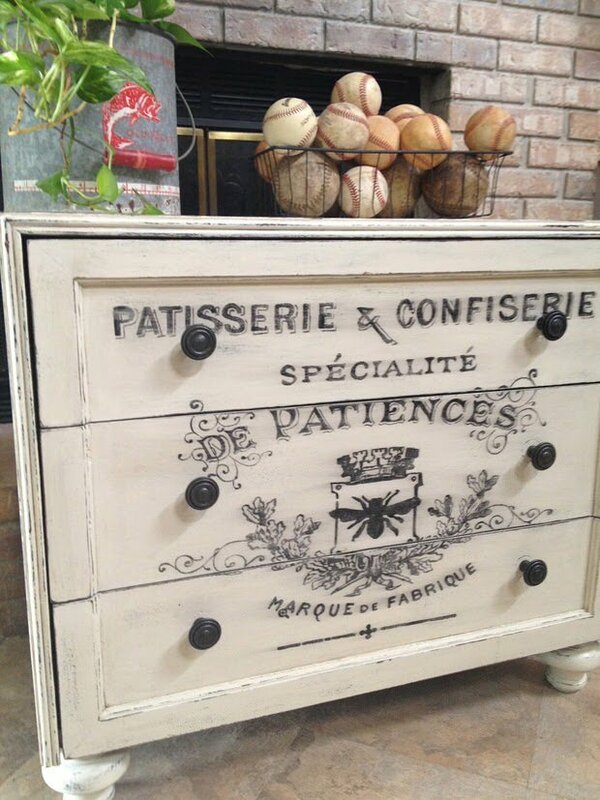 French style decorating has been popular for years, and like other country styles, it is a time tested theme. Updated french style is clean, vintage, and has a fantastic mix of comfortable and high style. Did I mention, it’s romantic decorating at it’s best? A little Paris, anyone? Enough going on, we all know we love a good burlap DIY project as much as we love a good croissant. DIY home decor, with French flair! Our featured project, above, is from It’s Just me. 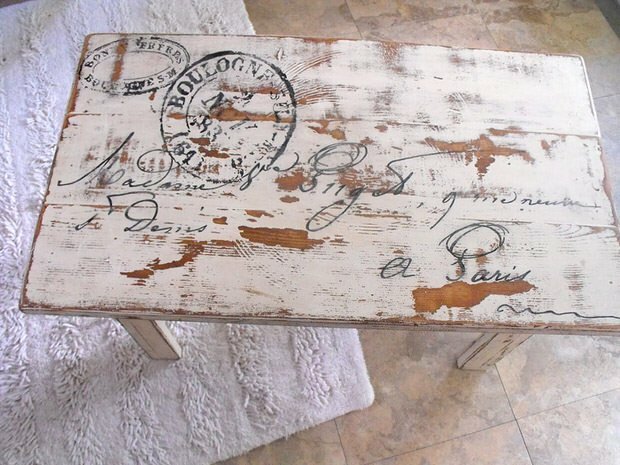 Check out their French dining table tutorial! 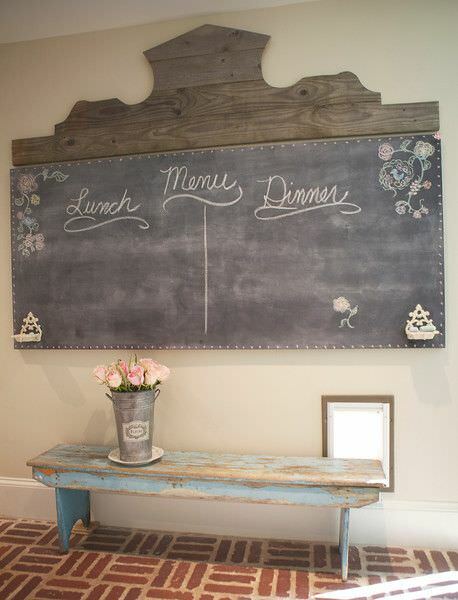 Check out this French farmhouse chalkboard tutorial by The Lemonista… This was made with a hollow core door and some scrap plywood…she even includes the template for the wood plaque! From Curb Alert, AMAZING Ooh La La Dresser! Check out how easy it was for her to do! 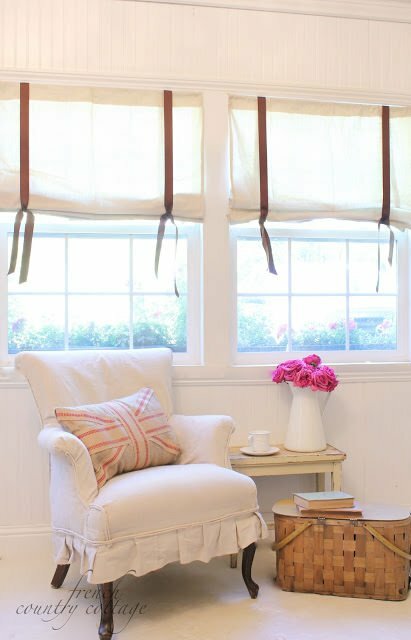 French Country Cottage made these DIY drop cloth blinds for the Lowe’s challenge, and wow! Follow her tutorial to get this clean and simple French look. 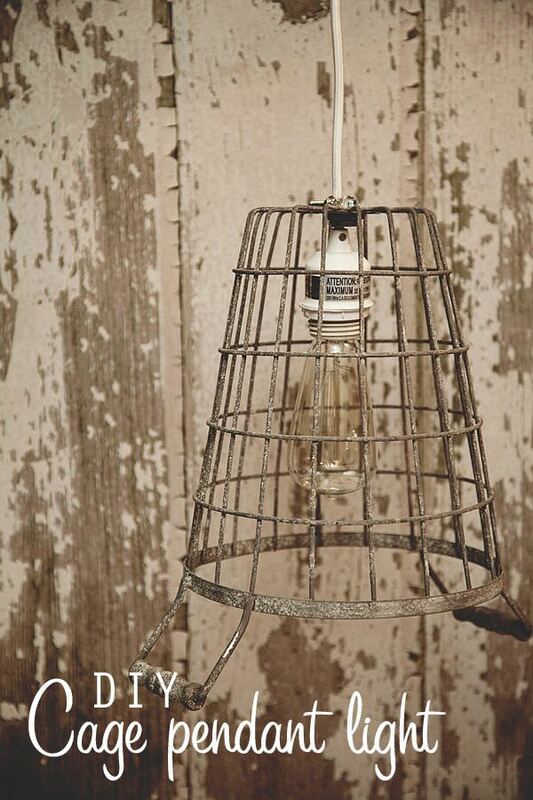 I love this French style DIY cage pendant light from Heather at Whipperberry, made from a metal basket. This is a doable DIY project and makes so much personality in a room! 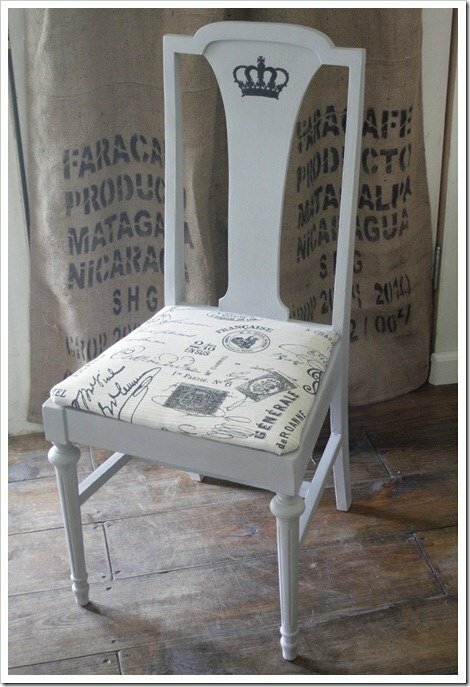 From Shabby Creek Cottage, this DIY French inspired chair is an easy project…thrift store trip anyone? These would be amazing at the head of the dining table. 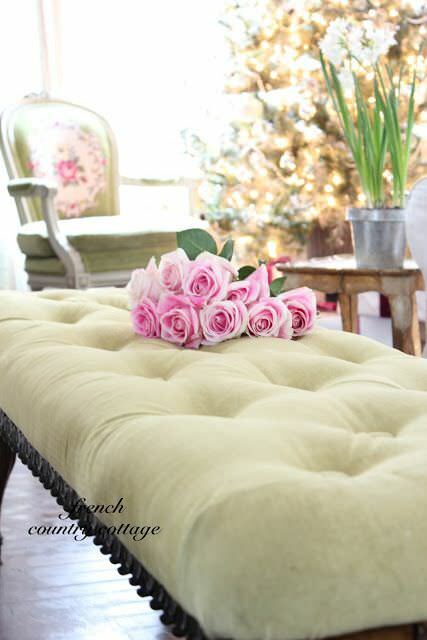 It doesn’t get more romantic than this French style button tufted bench from French Country Cottage. Read their tutorial and see their before and after photos as well. This is an amazing looking piece of furniture! Again, French Country Cottage has this down. 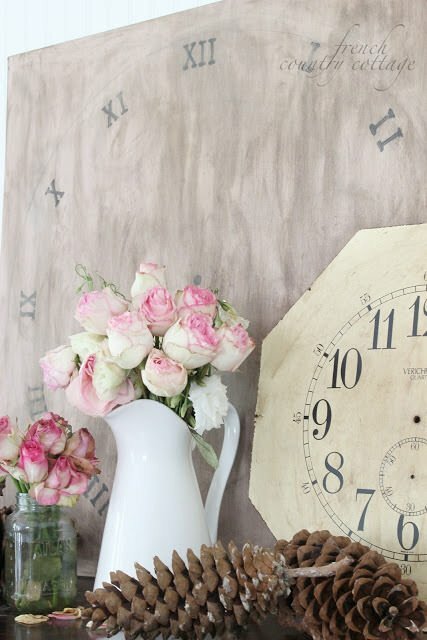 This DIY French clock face is so, so awesome. I may have to find a room to make French style! 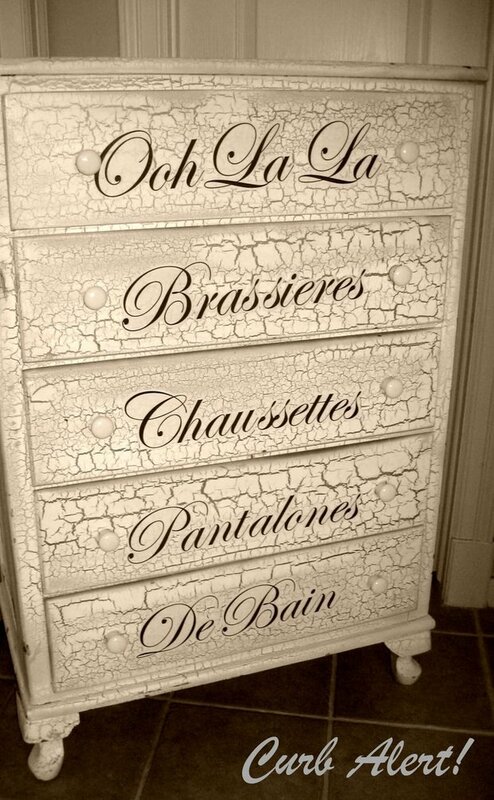 Need some French decor style graphics transfers for any DIY projects? The Graphics Fairy is the best place to find free templates and printable transfers.